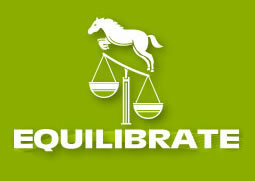 It is an absolute necessity to proceed very slowly and cautiously when feeding the starved or malnourished horse. The digestive system of the severely malnourished horse is in the process of shutting down and quantities of forage or concentrate feed could result in the death of the horse. Begin with turnout on pasture of poor or not very good quality i.e. dairy pasture is not suitable! If grazing is inadequate, provide increasing amounts of good quality fibre such as teff or grass hay. Provide small feeds 2 -3 times a day, depending upon available grazing quality and quantity. 100-200g per meal comprised of Speedibeet with Equilibrate COMPLETE or CHF with all trace minerals and vitamins, to which a handful of crushed or rolled oats can be added for increased palatability and nutrition is suggested. Speedibeet/Quickbeet is an ideal convalescence feed as it consists of both soluble and insoluble fibre for slow release energy and is fed damp or wet. This serves as a useful prebiotic. This regime should continue for weeks till feeding up to 2kg of Speedibeet, oats and trace element and vitamin supplement together with grazing and good quality forage. Not lucerne! 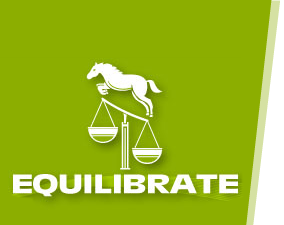 Equilibrates-Nutrition for the Balanced Horse BB (broad spectrum probiotic)is a useful for the risk of digestive upsets. It is probable that a neglected horse will not have had its teeth cared for and there may be sharp teeth that cause cheek lacerations and make chewing difficult which will hinder and slow the recovery process. And because the horse is starving, it may bolt its food resulting in choke.